Allergic or Adverse Drug Reactions can be deadly so demand a Client Information Sheet (CIS) so you can quickly recognize early symptoms in your dog. 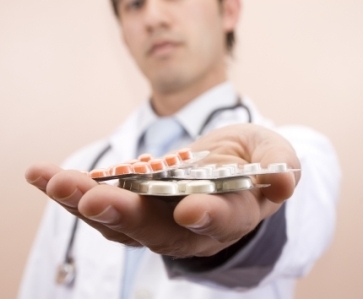 Human medications list drug side effects and potentially lethal allergic or adverse reactions. So do veterinary medicine prescriptions. The problem is that veterinarians buy in large quantities but they dispense in smaller lots and so they don't bother to provide pet owners with a copy of the medication information sheet. All you have to do is ask and if the veterinarian refuses to provide the drug company CIS (Client Information Sheet, or prescription information insert ), go elsewhere! With all the controversy surrounding the use of the drug Revolution (and others) I'd like to propose a solution. One that benefits everyone, but pets most of all. I started out by doing a little research on the drug. The drug manufacturer states under Adverse Conditions: (<=0.5% of 1763 treated cats and dogs reported symptoms) which means if you treat 1,000 dogs, five might have adverse reactions. Now I know that no drug is 100% safe 100% of the time. Penicillin changed the world, yet some people will die if given penicillin for a scratch. Every night on TV I see ads for Rogaine, Propecia, Prozac, etc. and they always have the disclaimer "some people may exhibit certain side effects such as vomiting, nausea, etc., be sure to check with your doctor." So it seems to be a question of what is acceptable risk. Add to this the fact that you are using a substance that by it's very nature is a toxic to at least some organisms, and is seems that there has to be an understandable level of risk. The fault here, in my opinion, is one of education. 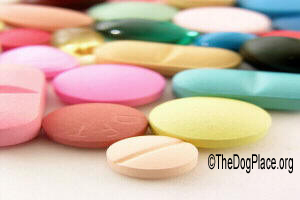 The veterinarian should explain to the dog owner the possibility of side effects and what symptoms to look for. Every prescription should come with a page listing possible side effects, what medications should not be taken together, and what to do if there's an adverse reaction. And certainly, the vet should recognize the possibility of an adverse drug reaction and know how to treat it. I don't think you can expect a drug company to make a drug that is 100% safe. Even if they handed out placebo's, a diabetic will react to the sugar pills. But pharmaceutical companies do have a responsibility to make the drug as safe as they can, and then to educate the veterinarians who will be dispensing the product. It then becomes the vets responsibility to inform the pet owner. Though pharmacies have been taking heat lately for incorrectly filling prescriptions, they do perform one added service. They are a safety check for busy doctors who don't take the time to fully inform the patient about the drug they just prescribed. The reputable ones will at least give you a fact sheet on the drug. In veterinary medicine, there's no safeguard, no middle-man between the medication being dispensed. That doesn't mean vets shouldn't do the same thing, i.e. 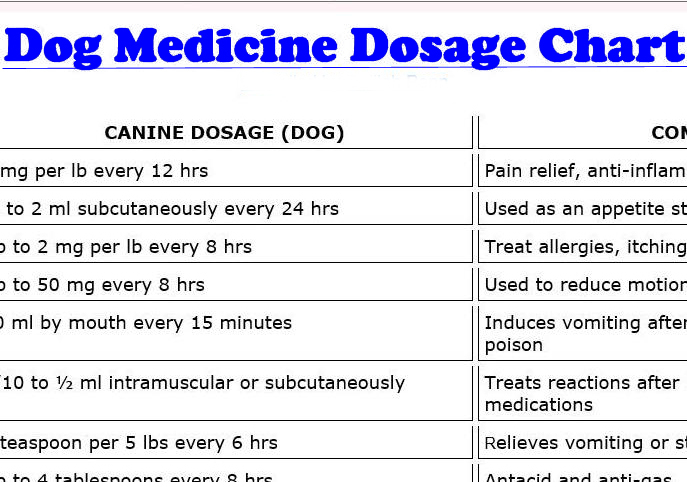 check other medications the animal may be taking, perhaps prescribed by a different vet. And pet owners need to be better educated about the drugs their pets are receiving. The vet is the front man for the drug companies. 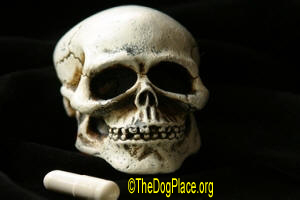 If a vet doesn't know or understand a drug, they have no business prescribing it. Prescription inserts seem to be the logical answer. In the long run, it would be cheaper for the drug companies to provide fact sheets on their product than to settle lawsuits. Veterinary medications are not very competitive but still, medicine makers are providing a service to the end users of their products. It would be good consumer relations to provide smaller inserts for small quantity vet dispensing. If consumers are better educated about a prescription drug, that drug in turn becomes a safer product. So when your pet is prescribed a medication, ask for a fact sheet just like my pharmacist gives me. In print that I can read, and terms that I can understand. Drug companies save on litigation, I'm happier, and my pet is safer and healthier. Only two weeks after this was published, Pfizer issued a press release stating that they were going to begin issuing product information with every prescription. Coincidentally (?) Pfizer used wording almost identical to Murray's, even to the same 'local pharmacy' analogy.